The nationalization of Iranian oil and the subsequent emergence of nationalist leader Mohammad Mossadegh as prime minister signify a watershed moment in the history of diplomatic relations between the United States and Iran. Domestically, Mossadegh represented constitutionalism, resource autonomy, and popular nationalism. In the eyes of United States officials, however, his rise to power denoted political instability, economic blowback, and a barrier to Middle Eastern petroleum resources. This period of heightened diplomatic tensions concluded with a CIA-sponsored coup (in cooperation with British intelligence), dubbed TPAJAX, in which Mossadegh was overthrown and the Shah was reinstated. Recent historiography reveals a rather binary discord among historians as to U.S. officials’ motivation behind the 1953 coup. Arguably the most popular narrative suggests that American interventionist policy in Iran was most saliently motivated by Cold War-era geostrategic concerns; Iran was a key tactical point in ensuring the success of the United States’ Northern Tier strategy. More recently, however, some historians have begun to depict an alternative narrative: that the 1953 coup should be understood through an economic framework dictated by American oil interests. In the following paper, I intend to argue that such a binary view of the 1953 coup’s origins ignores much of the complexities of its history. Rather, geostrategic Cold War concerns and economic motives operated on a plane of mutual dependency. The most longstanding historical interpretation of the 1953 coup is characterized by the prevailing Cold War framework of the mid-twentieth century. In his 2000 article titled “The CIA Looks Back at the 1953 Coup in Iran,” political scientist Mark J. Gasiorowski argues that the coup was strictly motivated by Cold War-era geostrategic considerations. One can understand his inclination to attribute the coup to Cold War geopolitics, as it seems to closely conform to the publicized rhetoric surrounding the event. Throughout the 1950s, Iran functioned as a key tactical aspect of the United States’ Northern Tier Cold War containment strategy; its geographic location on the Soviet Union’s southern border made it an area of key interest for U.S. defense planners. Christopher Montague Woodhouse, a senior agent in the British Secret Intelligence Agency, specifically chose to highlight the Communist threat over the oil question when meeting with top U.S. officials in Washington, knowing well the cogency of Cold War rhetoric in American politics. Furthermore, Kermit Roosevelt, the top CIA officer in Iran at the time of the coup, went on to write in his book, Countercoup, that Mossadegh’s ousting was necessary in order to prevent a Communist takeover by the Tudeh party. On the contrary, historians have more recently began to frame the 1953 coup in terms of an American drive for oil hegemony in the Middle East. In his book titled The Coup, historian Ervand Abrahamian argues that although Cold War language was mobilized as a tool to justify the coup, the United States’ real concern was oil nationalization and its possible global repercussions. The story of foreign interest in Iranian oil goes back to the 1901 D’Arcy Concession, in which the British bought exclusive sixty-year rights to extract and export Iranian oil from the Shah. By the end of World War II, the Anglo-Iranian Oil Company (AIOC) was providing upwards of £24 million a year in taxes and £92 million in foreign exchange to the British Treasury. If Britain, and not the United States, maintained exclusive oil rights up until nationalization, why would the United States, and not Britain, pioneer the confrontation with Mossadegh? Moreover, where exactly does the United States enter the equation? Abrahamian argues that Iranian oil nationalization represented a loss of Western control in the Middle East writ large, as well as presented an opportunity for widespread campaigns for oil nationalization across the globe, especially in Iraq and Saudi Arabia. In his review of The Coup, Gasiorowski criticizes Abrahamian for adopting a “narrow, economic determinist explanation of US policy toward Iran in this period.” Abrahamian had similarly criticized Gasiorowski for adopting a limited view of the 1953 coup hard-lined on a Cold War-based analysis. Diplomatic motivations such as those under investigation can be extremely difficult to trace, never mind exclusively pinpoint. Neither author is entirely correct or incorrect; rather, there is legitimacy in each explanation. History, at its core, is a work of synthesis. In order to gain a more nuanced understanding of the events surrounding the 1953 coup, academics must no longer consider these two narratives as incompatible. In the initial aftermath of the oil nationalization in 1951, top United States officials appeared quite hesitant to discuss the possibility of intervention. On May 17, 1951, Secretary of State Dean Acheson expressed the State Department’s initial reluctance to coerce the Majles into reversing the vote for nationalization. He also urged that the United States should take special care that the Iranian people do not associate the U.S. with such interference. Nonetheless, while several official government documents explicitly denounce American support for intervention in Iran, discussion of a post-Mossadegh Iran was also casually floated among state officials. As early as May of 1951, then Ambassador to Iran, Henry F. Grady, saw the fall of Mossadegh as inevitable, yet he argued against instating “a strong man,” contending that a U.S.-imposed “government by decree” would be a fatal mistake. While U.S. officials’ outwardly denounced any plans for direct intervention, it was clear that fervent Iranian nationalism was a lingering concern in Washington. Moreover, it is quite apparent that the Communist threat as well as the oil question were being discussed among top American officials at the earliest stages of nationalization in 1951. Originally, Acheson contended that if the United States were to oppose nationalization, it would risk severing diplomatic relations with Iran entirely, thereby opening the country to Soviet influence. While popular historiography often presents the American decision to overthrow Mossadegh as being rooted in a fear of Communist takeover, it should be noted that early American support for Mossadegh was grounded in that same rhetoric. Equally important, Acheson warned of the danger of events in Iran encouraging other foreign nations to pursue resource nationalization. A global wave of oil nationalization would not only threaten American economic interests, but also could threaten American hegemony at a time of heightened diplomatic conflict with the Soviet Union. Government documents produced in the wake of Iranian oil nationalization reveal that the oil question and Cold War geopolitical concerns were often presented in the same breath. Because President Truman opposed British military intervention in Iran, historians often present the Truman and Eisenhower administrations as holding entirely disparate positions on Mossadegh and nationalization. For example, in his book, All the Shah’s Men, Stephen Kinzer argues that the American attitude towards Mossadegh shifted dramatically with the ascendance of Eisenhower to presidency. In a letter to Prime Minister Atlee, President Truman seemed to express mild sympathy to Mossadegh as he called for a solution that would not only “safeguard basic British interests,” but also “satisfy the desires of the Iranian people for nationalization of their petroleum resources.” Although he outwardly claimed to champion both parties’ best interests, the British economic strangulation of Iran would not have been feasible without the support of the Truman administration and the American oil companies. It is misleading to say that the American sentiments towards Mossadegh altered drastically between the Truman and Eisenhower administrations. What did change, however, is how each president perceived the path to ensuring economic accessibility and political stability in the region. While the Truman administration opposed direct intervention out of a fear of the instability created by a power vacuum, the Eisenhower administration perceived Mossadegh’s regime to be the precise source of such instability in the region. Although Eisenhower has acquired a reputation for being a hawkish “Cold-Warrior,” this reputation does not entirely explain his sentiments towards Mossadegh; in fact, the oil question is largely intertwined in this narrative. As expressed in correspondence between British and American intelligence officers, Western security interests in the Middle East were largely dependent on the West’s control of oil resources throughout the region. The Western interest in maintaining control over Middle Eastern oil resources was not only an economic concern, but also a concern of the international balance of power. If Mossadegh’s Iran was to fall under Communist control as Eisenhower feared, there remained the possibility of spillover throughout the Middle East, leaving approximately sixty percent of the world’s oil resources under Communist oversight. As the actual coup operation was fast approaching, the CIA worked tirelessly to publish propaganda suggesting a dangerous relationship between Mossadegh and the Communist Tudeh party. In fact, Richard Cottam, one of the leading propagandists in the campaign, estimated that four-fifths of all newspapers in Tehran in 1953 were under direct CIA influence. Cottam described the articles he wrote under CIA direction as being “designed to show Mossadegh as a Communist collaborator and as a fanatic.” Unsurprisingly, the relationship between Mossadegh and the Tudeh was much more complex than the CIA propaganda had suggested. While the National Front (Mossadegh’s political coalition) did include some Tudeh members, it also included right-wing anti-communists as well. Iranians from all parts of the political spectrum were drawn to Mossadegh for his strong national sentiments grounded in his uncompromising call for Iranian autonomy. Thus, the CIA’s propaganda campaign makes it exceedingly difficult for historians to examine American officials’ political motivations as it becomes increasingly unclear which primary sources are part of this campaign and which ones express genuine concerns. Analysis of the direct historical context surrounding the 1953 coup reveals that it was only one part in a region-wide petroleum debate at the time. At the same time as the CIA was preparing for the coup, the Arabian-American Oil Company (ARAMCO) was re-engaging in price negotiations with the Saudi government, and similar negotiations with Iraq were on the horizon. Furthermore, the U.S. and the U.K. were engaged in active discussions with Syria and Lebanon as to how much profit each government should receive from oil that is pipelined through their borders. American and British correspondence on the eve of the 1953 coup was keenly focused on regional repercussions of Mossadegh’s unilateral action in breach of the concession. 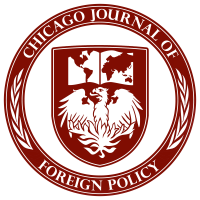 Interestingly, none of the declassified correspondence on the Foreign Relations of the United States volumes has any mention of TPAJAX, indicating its starkly covert nature. In considering American officials’ motivation in the decision to oust Mossadegh, it is useful to look at American action directly following the coup. Approximately a year after the coup, the new Iranian government led by the Shah signed a new contract with an international consortium of oil companies. According to the contract, the British lost the exclusive rights they had held pre-nationalization and were reduced to 40 percent of holdings; another 40 percent went to American oil firms. Moreover, Kermit Roosevelt who had overseen TPAJAX as a top CIA officer left the CIA to work for Gulf Oil Company, one of the key American oil firms in the consortium. While academics such as Gasiorowski can claim that Cold War considerations outweighed the oil question, it is an incontestable fact that the United States oil companies greatly profited in the aftermath of TPAJAX. Yet, American oil companies were not the only party that received tangible benefits following the coup. For the next 25 years, the Shah placed Iran at the disposal of American military and defense organizations to be used as a point of Cold War tactic, “a window and a door to the Soviet Union.” The Iranian landscape was dotted with U.S. military bases, electronic surveillance apparatuses were set up all along its borders, and Iranian airbases were used to launch surveillance flights over the U.S.S.R. Furthermore, by February of 1955, Iran had become a member of the Baghdad Pact, a pro-Western mutual defense alliance. After the ousting of Mossadegh, Iran once again became a vital tactical point in the American Cold War strategy of containing Soviet influence. Thus, although American oil companies reaped tangible profits as a result of the coup, it is quite clear that United States defense forces also directly benefited in terms of Cold War geopolitics. Although the standard textbook account of 1953 (as typified by Gasiorowski) is that the United States sponsored a coup to save Iran from a Soviet/Communist takeover, the relevant primary source material and the immediate historical context of the event reveal that the strict Cold War paradigm is overly simplistic. In fact, other than some members of the Tudeh joining the National Front, there is hardly any reliable evidence of a growing Soviet influence in Iran during Mossadegh’s time as prime minister. That being said, one ought not to adopt an entirely economic framework for understanding the coup either; as proven above, American interest in securing access to Middle Eastern oil is largely entangled in a quest for American regional and global hegemony. Nonetheless, no matter the specific motivation of American officials, it is obvious that American interventionism in Iranian politics in 1953 has created a dangerous precedent in American foreign policymaking and left a powerful historical memory in Iran. On August 6, 1954, the New York Times published an article which rather chillingly boasted that “underdeveloped countries with rich resources now have an object lesson in the heavy cost that must be paid by one of their number which goes berserk with fanatical nationalism.” The 1953 coup convinced American officials that “troublesome” governments elsewhere could be easily overthrown. In the following years, the CIA would carry out several extremely similar coups in Chile, Indonesia, and Guatemala; some of which resulted in mass killings on a genocidal scale. Domestically, however, the 1953 coup reaffirmed to the Iranian people that Western imperialism was alive and well; Wilsonian ideals such as democracy and self-rule were merely a rhetorical tool used to further imperialist designs. After the coup, Iran was driven into a quarter of a century of violent and tyrannical rule under the re-instated Shah, and eventually the explosive events of the 1979 Revolution. Mossadegh was one of the first modern leaders in the Middle East to attempt to build a state based on collective and individual liberty. In many ways, his dream was the 60-year precedent to the ideals espoused in the Arab Spring of 2011. Yet, the U.S.-backed coup told Iranians that the West was not yet willing to extend its own ideals to the Third World. In fact, one can make a strong argument that even today they still are unwilling. Mark J. Gasiorowski, “The CIA Looks Back at the 1953 Coup in Iran,” Middle East Report, no. 216 (Autumn 2000): 5. Stephen Kinzer, All the Shah’s Men: An American Coup and the Roots of Middle East Terror (Hoboken: John Wiley & Sons, Inc., 2003): 3-4. William Blum, Killing Hope: U.S. Military and CIA Interventions Since World War II (Monroe: Common Courage Press, 1995): 66. Ervand Abrahamian, The Coup: 1953, the CIA, and the Roots of Modern U.S.-Iranian Relations (New York: The New Press, 2013): 4-5. Mark Gasiorowski, “Review of The Coup by Ervand Abrahamian,” Middle East Journal 67, no. 2 (Spring 2013): 316. “The Secretary of State to the Embassy in Iran,” 17 May 1951, Foreign Relations of the United States, 1951-1954, Vol. 10, Doc. No. 9. “The Ambassador in Iran (Grady) to the Department of State,” 7 May 1951, Foreign Relations of the United States, 1951-1954, Vol. 10, Doc. No. 18. “The Secretary of State to the Embassy in Iran,” 11 May 1951, Foreign Relations of the United States, 1951-1954, Vol. 10, Doc. No. 21. Kinzer, All the Shah’s Men, 3. “President Truman to Prime Minister Atlee,” 31 May 1951, Foreign Relations of the United States, 1951-1954, Vol. 10, Doc. No. 25. “The Petroleum Attaché in the United Kingdom (Moline) to the Department of State,” 17 Dec. 1952, Foreign Relations of the United States, 1952-1954, Vol. 9, Doc. No. 273. Kinzer, All the Shah’s Men, 158. “Paper Prepared in the British Embassy,” 17 August 1953, Foreign Relations of the United States, 1952-1954, Vol. 9, Doc. No. 306.